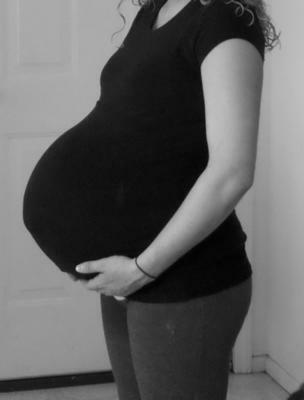 This was the day I went to the hospital to have my twins, 38 weeks. I had a c section because my baby girl was breech. Baby A Kassidy was 5lbs 9oz and 19 1/4 in long. Baby B Kayden weighed the same 5lbs 9oz. 18 1'4 long. My life was truly blessed that day. I had an amazing pregnancy no sickness no complications at all. Good Luck to all you twin mommys out there!! Good for you! I wish I didn't have sickness! I'm currently pregnant with twin boys. seven months along. I'm 19. Regretting it now, but it's great that your pregnancy was so good! That is wonderful that you had no complications. I am currently 32 wks with identical boys and have gestational diabetes along with my feet looking like jello bricks. You looked wonderful. Thanks ladies! I didn't eat anything special just healthy. I was told to drink tons of water! No supplements. And this was a spontaneous twin pregnancy and doesn't run in our families!! wow dear! congrates by the way..what have u eat since u knew u preg for twin?? any healty supplement? this planning for twin or u have genetic?